The gathering in itself was historic. And so is the campaign “Children, Not Soldiers”, launched jointly with UNICEF exactly a year ago. The campaign builds on the growing international consensus that children do not belong in security forces and seeks to galvanize support to end and prevent the recruitment and use of children by national security forces in conflict by the end of 2016. The countries concerned by the campaign are: Afghanistan, Democratic Republic of the Congo, Myanmar, Somalia, South Sudan, Sudan and Yemen. There is still a lot of work ahead of us, but we have come a long way. A few years ago, it was not uncommon in my travels to be greeted by military commanders, surrounded by children in uniforms and carrying weapons. That has become unacceptable now. Governments identified by the UN Secretary-General acknowledge that children do not belong in their security forces and most have taken concrete steps to make sure their children do not become soldiers. In the campaign’s first year, progress has been steady. The campaign received broad support and we achieved results that are making a difference in children’s lives. 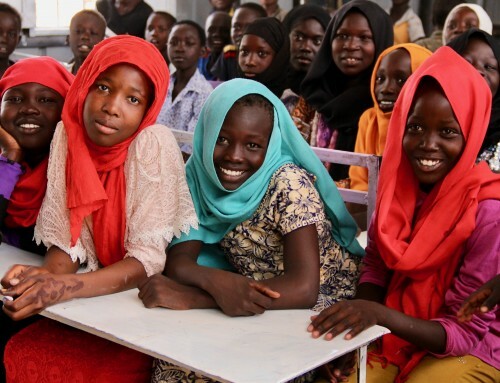 Chad has completed all the reforms and measures included in its Action Plan signed with the UN and has been taken off the UN Secretary-General’s list of child recruiters. Over 400 children were released from the national army in Myanmar. In all of 2014, in DRC, there was only one case of child recruitment by the national army, and the child was quickly released. In Afghanistan, the recruitment of children is in decline and only 5 cases were recorded by the UN. 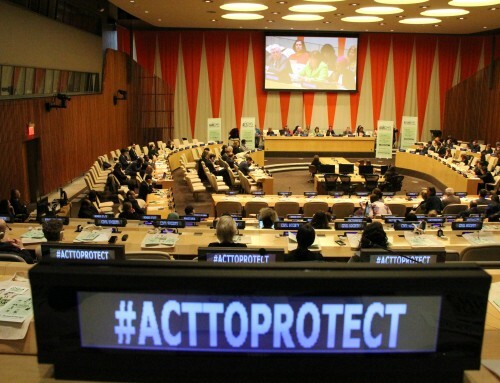 Six of the seven remaining countries concerned by the campaign have now signed and recommitted to Action Plans with the United Nations. These Action Plans are agreements that indicate all the steps necessary to end and prevent the recruitment of children in government forces. The “Children, not Soldiers” campaign has also accomplished its purpose as a rallying cry to make the issue of child soldiers a top concern of the international community. “How can we help?” was the question asked by officials from dozens of countries, NGOs, partners from the UN system, regional organizations and many more. Officials from countries involved in the campaign have also met with representatives from other countries who ended the use of child soldiers in their armies. These were opportunities to share experiences, successes and challenges. This is positive, but the campaign’s first year has also shown that goodwill and commitments with the UN are not enough to guarantee that children will not become soldiers. The conflict in South Sudan is a cruel reminder that acting on provisions included in an Action Plan, such as the establishment of child protection units in a country’s armed forces, or taking steps to criminalize the recruitment of children is not enough to guarantee that boys and girls will be fully protected if conflict strikes again. In Yemen, months of work leading to the signature of an Action Plan in May 2014 have been derailed by the current political situation. Instead of the anticipated progress, data gathered by the UN indicates a spike in the recruitment of child soldiers by all parties to the conflict. Even the armed group Al-Houthi Ansar Allah, whose leaders were actively engaged in dialogue with the UN, have reneged on their commitment to protect children. We cannot afford to watch silently while children once again pay the price for political instability in their countries. 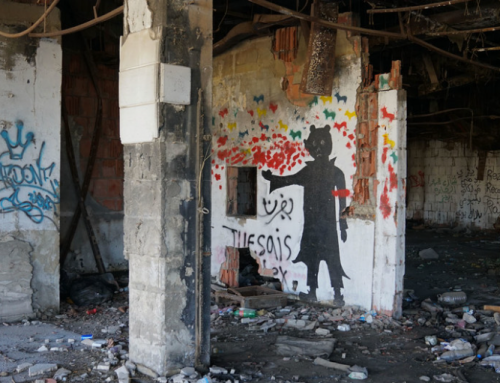 We keep reminding parties to the conflict that they cannot recruit or use children, that it is a war crime. We ask all those involved in peace talks to make sure that releasing children is a priority. The big lesson of this campaign’s first year is that the road to child-free government armies is promising, but also full of obstacles. The setbacks of 2014 show that even if measures to protect children are put in place, gains can be reversed under the pressure of conflict. We also have a better understanding that many countries face similar challenges. Addressing these common challenges will be a priority in the campaign’s second year. Accountability is central to our work. To enhance accountability, I will encourage all countries concerned by the campaign that have not yet done so to criminalize the recruitment and use of children and to spell out consequences for offenders. Investigations and prosecutions of child recruiters remain far too rare, even in countries that have criminalized the recruitment of children. Without sanctions, children will never be fully protected. Another challenge faced by most countries is verifying the age of their soldiers. That may seem like a problem easy to solve, but it is in fact a delicate and difficult task to execute in countries that do not have well-established birth registration systems. 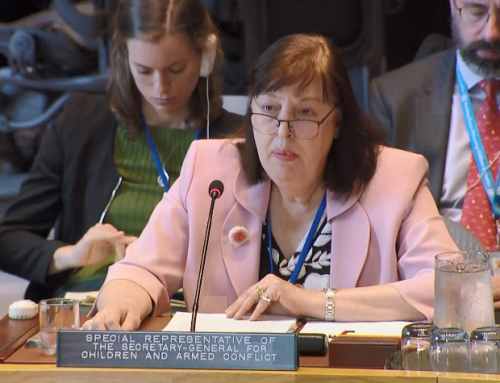 The UN will continue to work with Governments to establish or refine age-verification procedures to identify underage recruits and release them from the army. Releasing children found in the ranks of national forces is essential, but they cannot be left on their own to rebuild their lives. Adequate resources must be available for community-based programmes that provide psycho-social assistance and help children build their future through educational and vocational opportunities. Helping children and their communities is the best way to not only prevent re-recruitment, but also to build peace and stability. Throughout the year, I will continue to reach out to Member States concerned by the campaign, the international community, regional organizations and all relevant partners to mobilize political, technical and financial support to address challenges faced by countries in the implementation of their Action Plan. 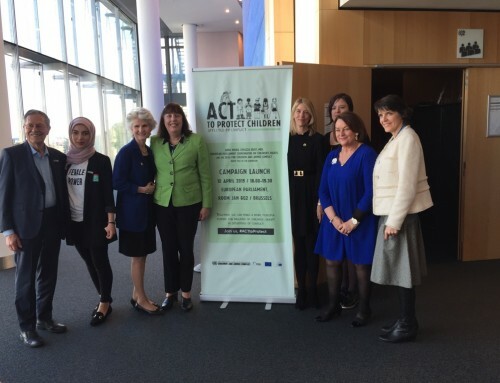 This is essential to encourage and guide concerned countries who must put in place mechanisms strong enough to safeguard the progress accomplished to protect children from recruitment, now and in the future should a new crisis strike. The campaign has already received tremendous support from many who could make a real difference. 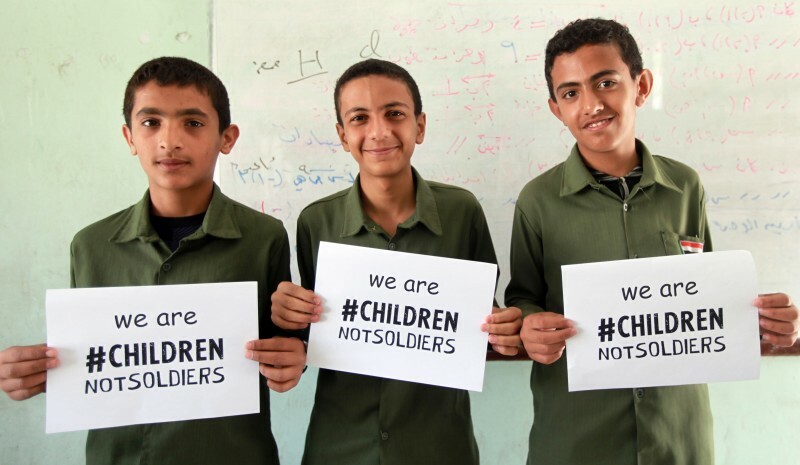 This year, I call on everyone to join us, because, together, we can make sure that they are children, not soldiers.